Alice Coltrane Turiyasangitananda’s devotion to spirituality defined the final decades of her life. In 1983, she established the 48-acre Sai Anantam Ashram outside of LA, where she quietly began recording music. Earlier this year, Luaka Bop (the label founded by David Byrne) released the first compilation of recordings from this period: a powerful, largely unheard body of work that finds Alice singing for the first time. At Le Guess Who? 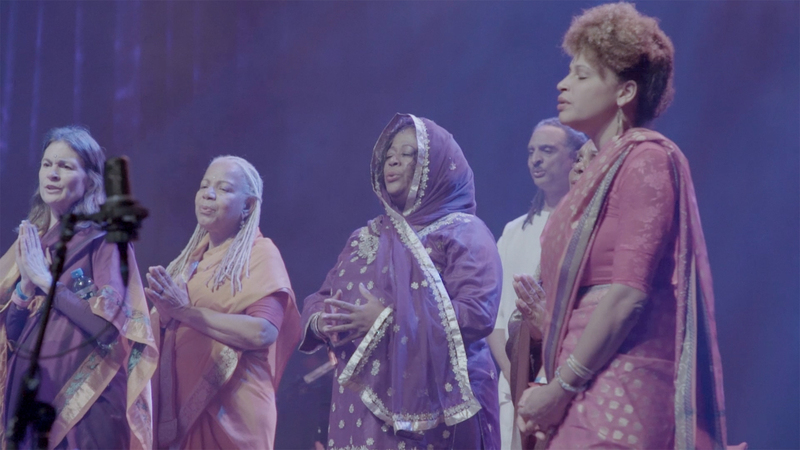 2017, we celebrated Alice Coltrane with the European premiere of these recordings, performed live by the Sai Anantam Ashram Singers, to bring this meaningful piece of Alice Coltrane Turiyasangitananda’s legacy into focus. Here, we talk to Michelle Coltrane and Eric Welles-Nystrom (Luaka Bop) about the project.